Click this link for the original hardcover version. 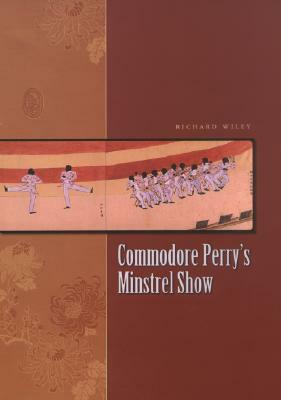 In 1854, when the U.S. Navy's Commodore Perry sailed into Edo (now Tokyo) with the grand goal of opening Japan to trade, he brought major change and minor entertainment—a black-face minstrel show that amazed and perplexed its audience. In this brilliantly imagined novel, Wiley, shifting perspectives with deft ease, follows two fictional white minstrels, Ace Bledsoe and Ned Clark, as they confront Japanese society, while he subversively engages the reader in a deeply allegorical reading of cultural exchange. Ace and Ned come under the wing of interpreter Manjiro Okubo, whose powerful family is locked in an old clan rivalry. The rivals' plot to kidnap musicians sets off a train of events romantic and tragic, with touches of Keystone Kops: with tantalizing authorial discretion, lovers enjoy one another, villains flash lethal swords, beauty balances bawdy, and rivalries and enmities explode. (Readers need not have read Wiley's PEN/Faulkner Award–winning Soldiers in Hiding, for which this novel is a way-back prequel.) 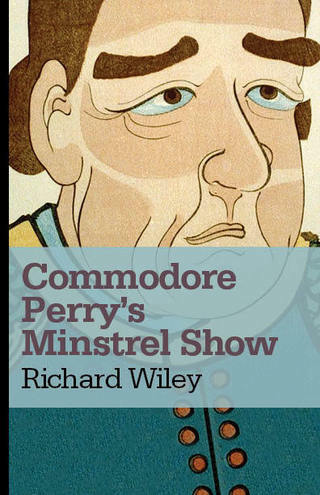 This absorbing and immensely pleasurable book achieves momentum through Wiley's fluid style, the lightness with which he bears his learning, and the vitality and wit with which he brings a vanished world to life.